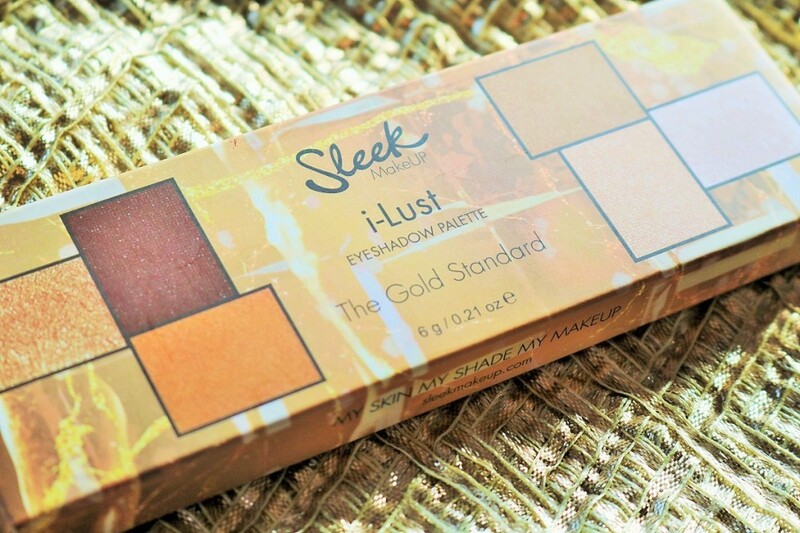 For this season, there’s nothing like a bit of shimmer and shine and the limited edition Sleek Makeup The Gold Standard i-Lust Eyeshadow Palette is just perfect for the holiday glam look. The palette is part of the 24K Gold Collection that also includes highlighting palettes and Glitter Me lip glosses. 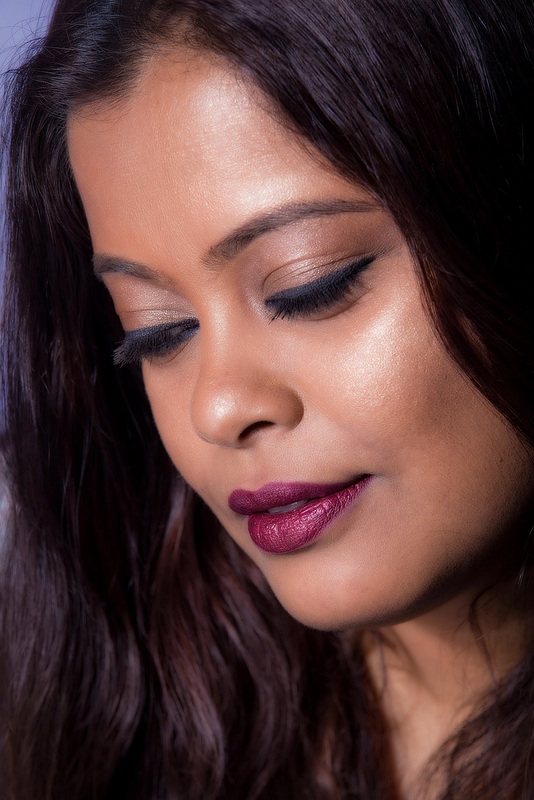 I love bright colors not just on my lips but on my eyes as well and so when Sleek Makeup launched their summer special Rio Rio I-Divine palette, I had to have it. Big thanks to Renji for ordering it and sending it to me because unfortunately I don’t get any packages from Sleek. After 3 lost packages till date, I just did not have the courage to go ahead and order on my own again. 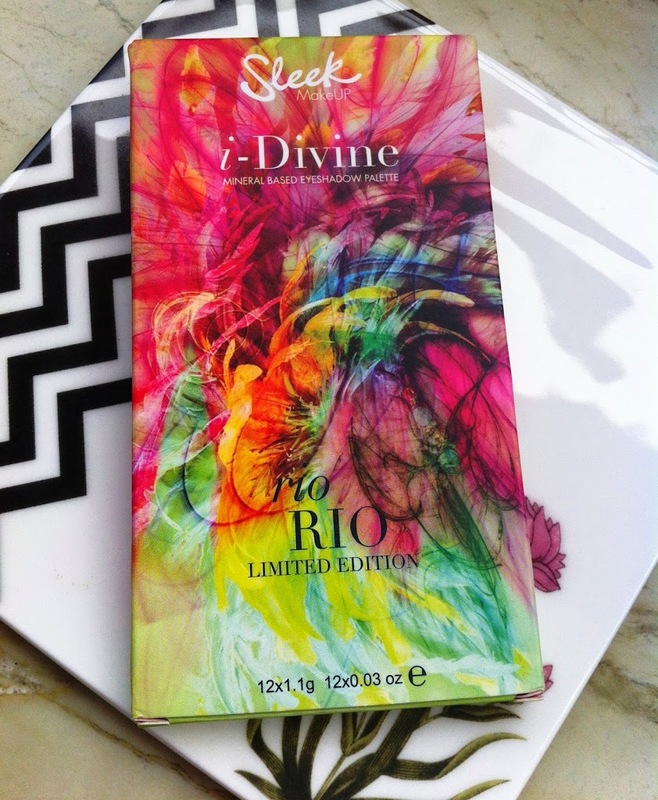 This exclusive i-Divine Palette is inspired by the explosion of vibrant exotic colours seen at the Rio Carnival, with bursts of golden yellow, intense fuchsia and metallic green hues. 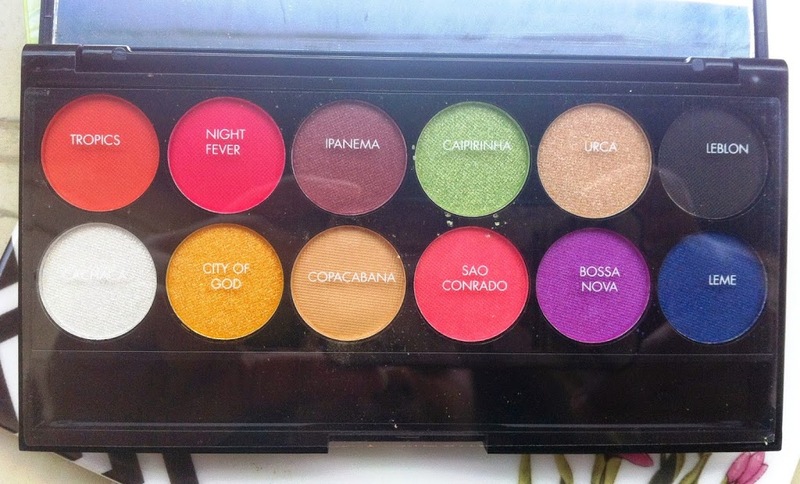 Each shade is highly pigmented, reflecting the exciting carnival celebrations and everything that is Brazilian! Create shimmering eyes with super-charged shades that pop. This palette of vibrant colours suits all skin tones and the exclusive packaging captures the flamboyant, exotic carnival costumes. 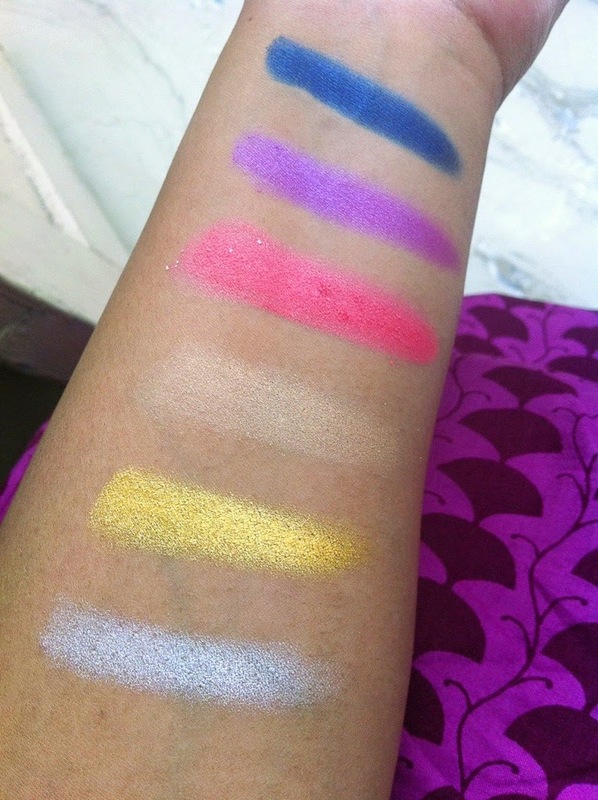 Here are details of all the shades and the swatches. 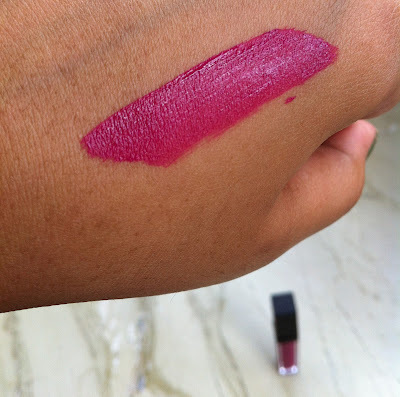 Sao Conrado – Pretty rose coral with a matte finish. Again, a good blush color. Bossa Nova – Orchid with blue duochrome. Leme – Royal blue with a pearl finish. Super pigmented and my favorite shade in the palette. 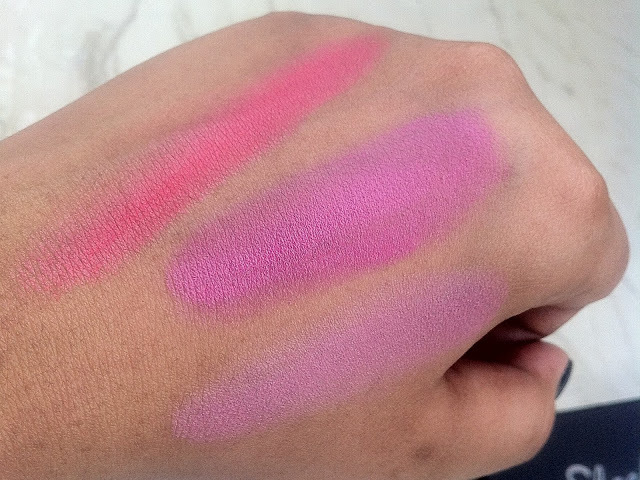 The matte shades are slightly dry but pigmentation of all of them is good except Copacabana. The pearl and metallic finish shades have a bit of fall out so it is best to use a primer. Overall, Rio Rio is a nice palette to have in your collection if you are a fan of colored eye shadows and want a much cheaper alternative to Urban Decay’s Electric Palette. 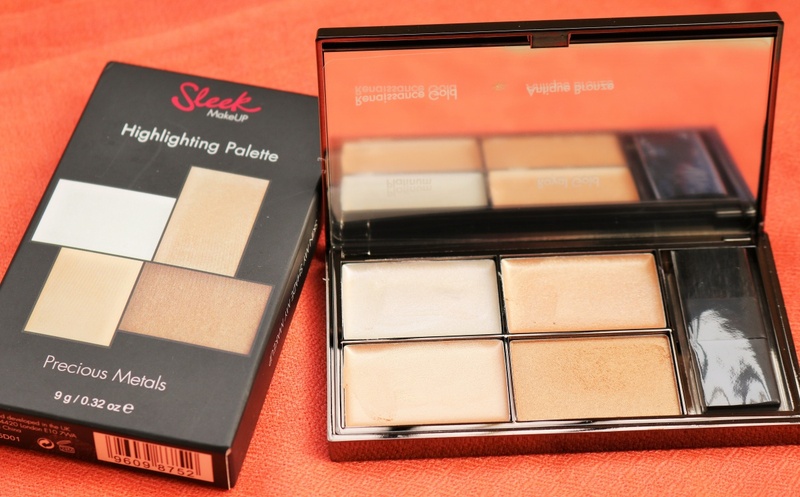 It’s available for a limited time only at Sleek MakeUp for $9.99. Will post a look with a few colors from this palette soon. What do you think of this palette ? Do you like it or it’s just too colorful for your taste ? When I got to know about Sleek Make-Up’s newest lip offering, the Matte Me Lip creams, my heart literally skipped a beat. Why? Coz I am a huuuge fan of matte lipsticks, the shades looked stunning and the UK bloggers were raving about this product. I was specially drawn to two colors – Fandango Purple and Rioja Red and was desperate to lay my hands on them. The only hitch in the entire acquiring process? Sleek Makeup hates my address and I never get anything delivered. I’ve lost three parcels since last year so even though I was desperate, I decided control my craving and instead vent my anger and frustration to the bestie who lives in London. That was probably the best thing I did coz my sweetie bought Fandango Purple and sent it to me. It did take 1.5 months to reach (!!) and I had absolutely no clue that she sent it but you can imagine the expression on my face when I opened the package :D.. The Matte Me lip creams are basically liquid lipsticks that dry out to a matte finish. There are 6 shades in this range and most of them are very bright colors. 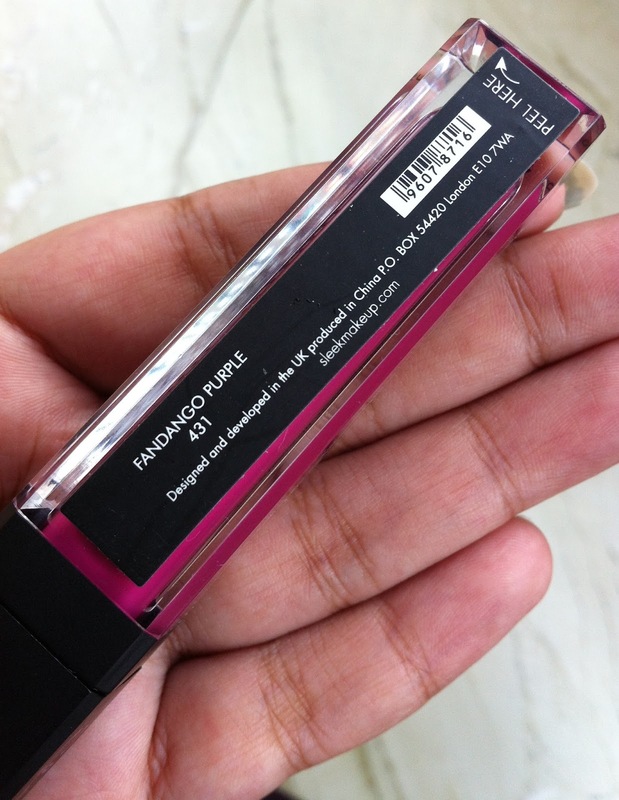 The packaging is a typical gloss style tube with a doe-foot applicator that does the job of spreading the cream evenly on the lips.Fandango Purple is a bright purple pink/fuchsia color that is beautiful and unique. The texture of the lip cream is very light and smooth and it applies evenly. It feels weightless and the color payoff is super. 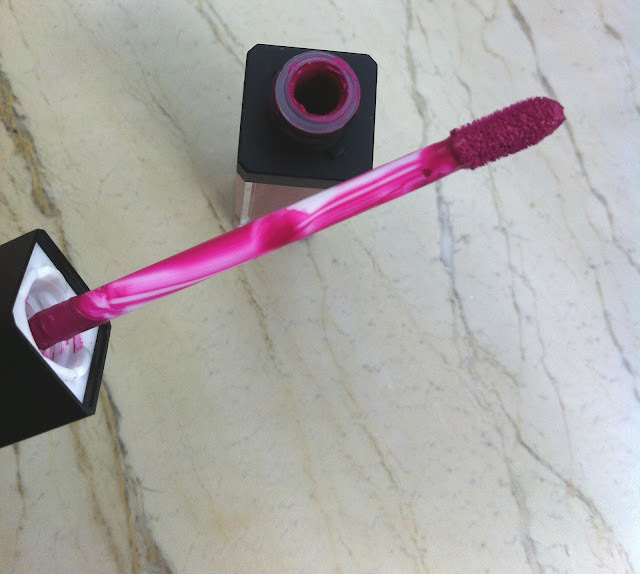 One swipe is basically all you need for luscious lips. The cream dries out to a matte finish pretty fast and then it practically does not budge for 3-4 hrs without flaking, caking or smudging (without eating or drinking). Else, it stays for about 5 hrs and then fades away leaving a pretty pink stain. The first time I used this on un- prepped lips and it felt really dry. The next time, I used a lip balm, blotted it and then applied Fandango Purple and it was fine. You do need a balm with this unless you want your pout to look dry and parched. 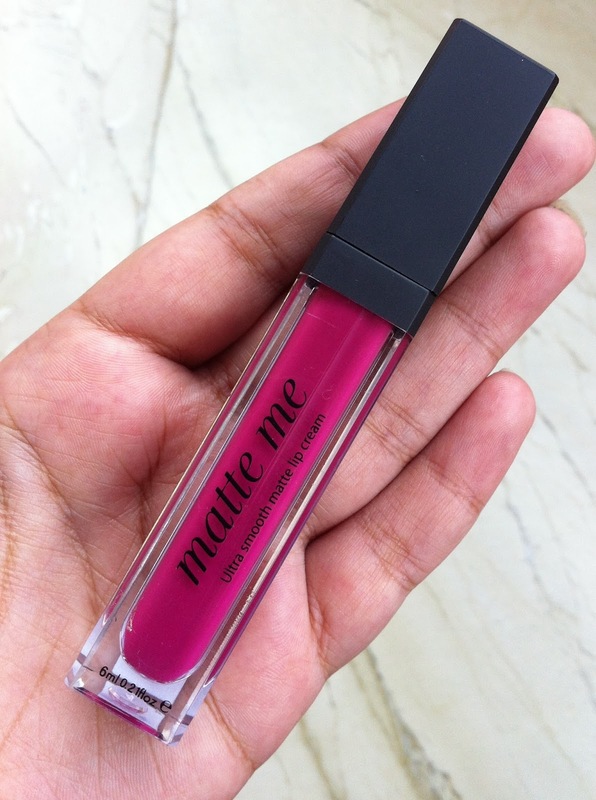 If you are looking for a matte lip color, Sleek Makeup’s Matte Me Lip cream is by far one of the best mattes to try. Awesome pigmentation, beautiful bright color and really long lasting. You can buy them from Sleek’s website for $6.99 exclusive of $2 shipping cost. I read somewhere that this range is Limited Edition so you might want to hurry up. Now I just pray Rioja Red reaches me soon! Have you tried any of Sleek’s Matte Me lip creams? Sleek Makeup launched the Candy collection last month and I must admit that more than the shades, I was totally ‘fida’ over the packaging. Not that the shades are not nice but how pretty is that picture on the cover?? 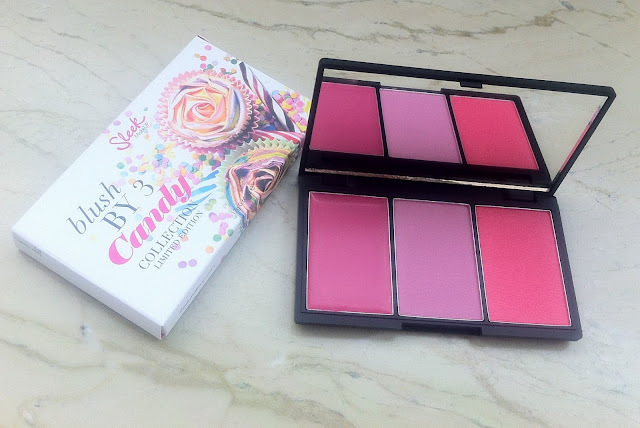 The Candy Collection is a Limited Edition and there are three products included – i-Candy i-Divine eye shadow palette, Blush by 3 in Sweet Cheeks and a Pout Paint in Lol-Lip-Pop. I was contemplating whether to go for the palette or the blush and then went for the latter because I don’t think I can quite carry off the soft pastel colors on the eyes. 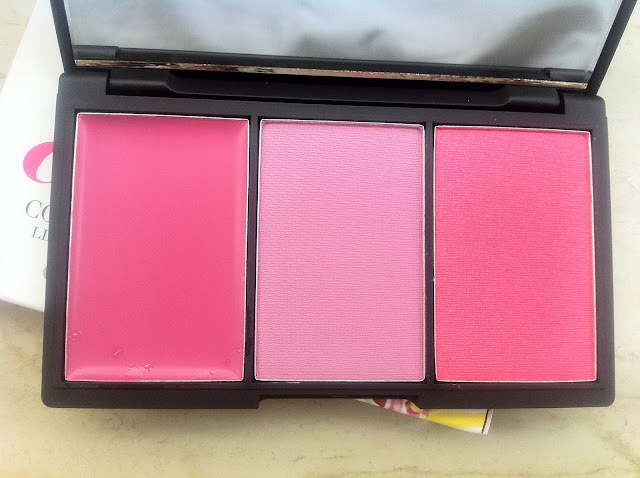 Sweet Cheeks Blush by 3 has three different finishes in cream, shimmer and matte, all in the pink family. The cream one is Cupcake, a dark pink bordering on purple. 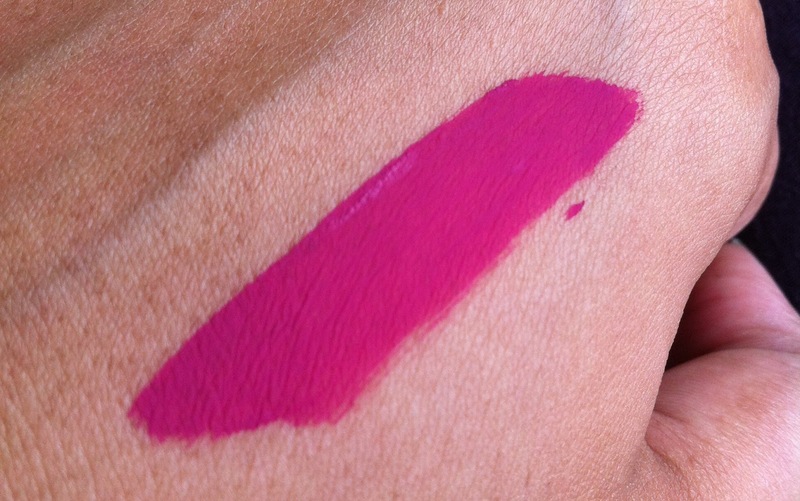 The matte Dollymix is a lavender and the shimmer is Candyfloss, a mix of pink and coral very similar to Sleek’s Flamingo blush. Out of the three, Cupcake and Candyfloss are the most pigmented and my favorites. Dollymix not so much and I think it will look ashy on me. Will share some looks with these later. 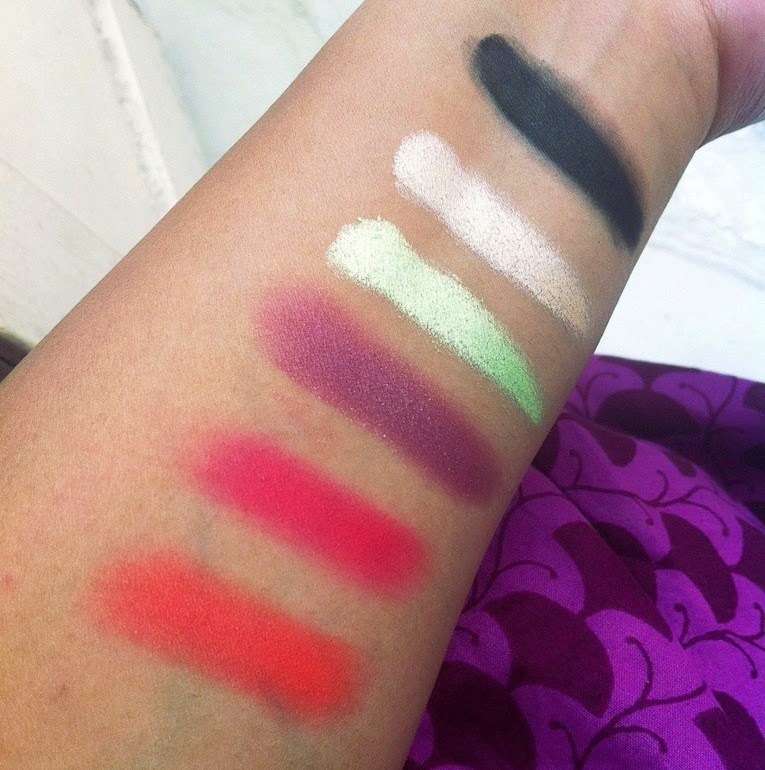 For now, take a look at the swatches.